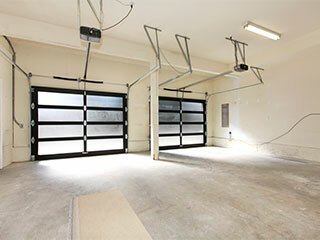 An opener is the part of your garage door system which allows it to operate automatically. Like a lot of other modem machines today, openers are quickly improving to include functions that can make your daily routine much more comfortable. However, there are many different issues that can plague these devices. Lucky for you, our professional technicians always have a repair solution available. Just like any other complex piece of machinery, there's a great variety of reasons why something could go wrong. From a tiny motor gear to a burnt electrical wire, finding the culprit can often require a "technical bloodhound". These settings are what makes your garage door system determine how fast and how far it should open. When they're not set properly, they can make the door hang slightly open, or slam down into the floor when it's closing. Getting them properly adjusted can often fix a lot of issues. Every machine has a limited lifespan. Sometimes, a problem can prove to be so severe that you'd be better served replacing the entire unit rather than having our experts fix the issue. Sure, it can often be much less expensive to simple get a new opener than trying to repair an older model, but the more important reason you should consider doing it is safety. The older a unit gets, the more wear and tear it has endured over the years. Even if we can repair the current issue, due to its old age, it's more than likely another component will cause your opener to malfunction again shortly. As garage door service specialists, our experts have dealt with every problem under the sun, for every notable brand names: Craftsman, Chamberlain, LiftMaster®, and more! Every Chula Vista homeowner should never hesitate to reach out to our professional team for any opener related issue they may be experiencing.